Affordable website development and digital design for the 95% – delivered with knowledgeable, friendly service. We are KPMDesign — a customer-focused design company located in Paraparaumu Beach on New Zealand’s Kapiti Coast. At KPMDesign we approach things a bit differently. Instead of running clients through a one-size-fits-all system, or trying to monetize and retain control of every aspect of a website, we get our job satisfaction from seeing our clients in control – enabled to ask for what they need and do what they want with their sites. We’ll do what you can’t or don’t want to do – but we’ll also happily train you to edit and shape your site yourself. We’ll always give you the advice that we think is in your best interests, not ours. And we’ll never charge you for things you don’t need. 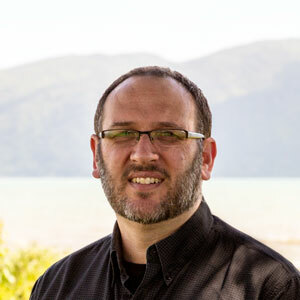 KPMDesign is the trading name of Kapiti Print Media, a Kapiti Coast firm founded and managed by Chris Benge to supply graphic design, printing and book publishing services. More recently we coined the name KPMDesign to encompass our expansion into web design. Our web development work is powered by one simple vision: to make well designed, affordable websites for everyone. Chris Benge, a recovering English and Maths teacher, has discovered how powerfully design affects the impact of words and images. 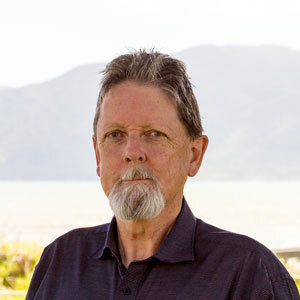 He edits manuscripts, designs books, and creates print and digital publications, including ebooks and interactive pdfs. When he shuts down his computer he loves picking up his guitar or mandolin. Matt Gillon is KPMDesign’s web developer, with more than fifteen years’ experience in print and web design. He’s a busy dad (of four) and husband, and an avid gamer and photographer. After some years exploring the world of web design, Matt has settled on the WordPress platform as the most efficient, cost-effective way of designing elegant, flexible, modern sites for a wide variety of purposes. His greatest work satisfaction comes from delivering a project that represents great value for the client while learning something new along the way. So. How can we help you? Want to make contact? Let us know what you’re looking for.